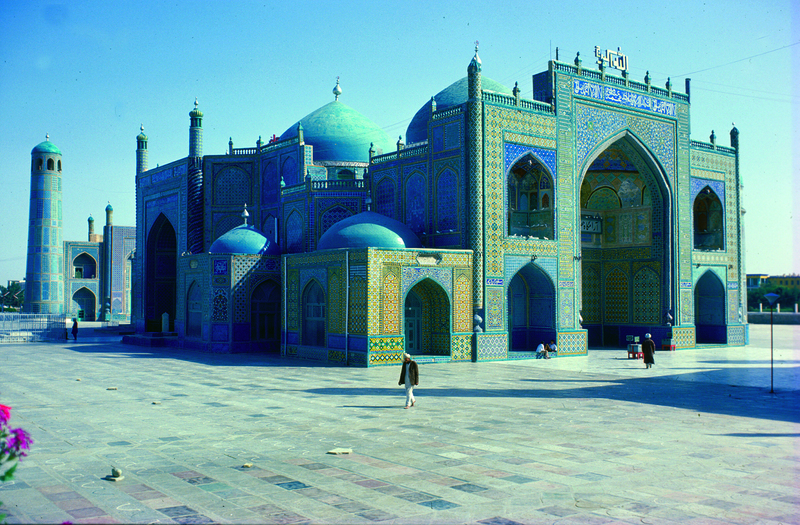 Thanks to its position at the intersection between the great Asian cultures and by the trade routes connecting Europe and Asia, Afghanistan is home to a rich and entirely unique cultural heritage, influenced by both Persian, Greek-Hellenic, Buddhist and Islamic culture. Archeological excavations have been central in developing our knowledge of the early history of the country and have brought breathtaking art treasures to light. The Silk Road cut right through the area and was of great strategic importance, as the many finds attest to. The consequence has been a history of power struggles in the area, with a range of dynasties taking turns fighting each other. In the year 642, the Arabs entered the area today known as Afghanistan. They introduced Islam, which has been the dominant religion ever since. Religion has played a major role in the development of the country and is also very important in present-day Afghanistan. Since 1979, Afghanistan has incessantly suffered war and conflict. The Soviet invasion and the subsequent civil war caused enormous refugee flows and destroyed large parts of the country. Out of this mayhem arose the Taliban that came to power in the mid-1990s and restored security in many parts of the country. At the same time, they created one of the most misogynist societies in history.